It was a really tough day for Gary. The PT transport sent a cab to pick him up today. The cab driver moved his wheelchair as Gary was trying to sit, almost causing him to fall. He twisted his injured leg pretty badly, and has been in a lot of pain all day. Fortunately, my mom and her friend (a retired nurse) will be visiting him tomorrow and assisting him. We just got a call from the Wounded Warrior Project, an advocacy group for disabled veterans that is willing to help Gary navigate through the red tape. Gary is talking with them tomorrow. We also were contacted by an occupational therapist offering to help. I will keep you all posted. We have received such an overwhelming response by people who have been touched by Gary and Libby’s story. Gary doesn’t have a computer, so I just printed out his story for him to read tonight. Reading it brought a tear to his eye. Especially seeing the picture of Libby’s visit for the first time. Not one for attention, he just kept telling me, “this isn’t about me, it’s about Libby”. His jaw dropped when I told him that almost 800 people have read his story in just two days. As I was making dinner, he was practically speechless when I told him that we have raised over $600 at the time (now over $900) in online donations for him. We were also visited by a good samaritan named Carrie, who brought Libby a 50 pound bag of dog food and a toy. In October 2010, Valley Dogs received a very special request from a homeless Vietnam Veteran who had hit some very hard times. He lost his job, wife, and home, all within months of each other. He has been a handyman for 35 years, but has been having difficulty finding work. So he did all the odd jobs he could, and was living out of his truck. He made dozens of calls to rescues pleading if anyone could temporarily watch his dog, Libby, a 3 year old yellow lab, until he got back on his feet. Libby is his life, and is all he has left, but he felt he needed to do what was best for her. We were all drawn to his love and dedication towards Libby, and his putting her needs before his own. Valley Dogs stepped up, and found a temporary home for Libby. Gary tearfully said his goodbyes to Libby, and promised her would come back for her. 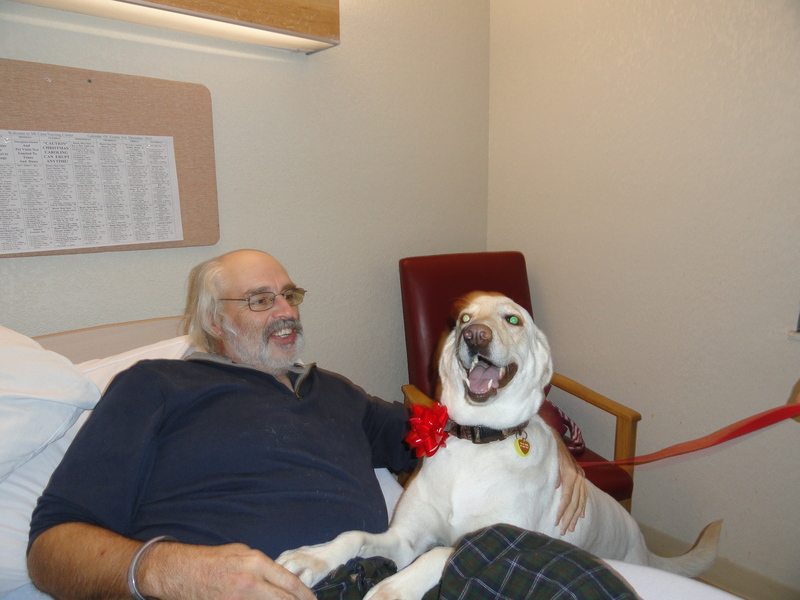 The VA assisted Gary in getting an apartment in November, and he was ecstatic to get Libby back. Unfortunately, two weeks later, while walking across the street, Gary got hit by a drunk driver. His right leg was shattered, and about 5 inches of his leg had to be replaced with a metal rod. He pleaded with Michael, the president of Valley Dogs, to take Libby in again temporarily, until he could care for her again. We could not turn our back on Gary, and took Libby in again. A few weeks later, Gary called Michael from the hospital inquiring on Libby. 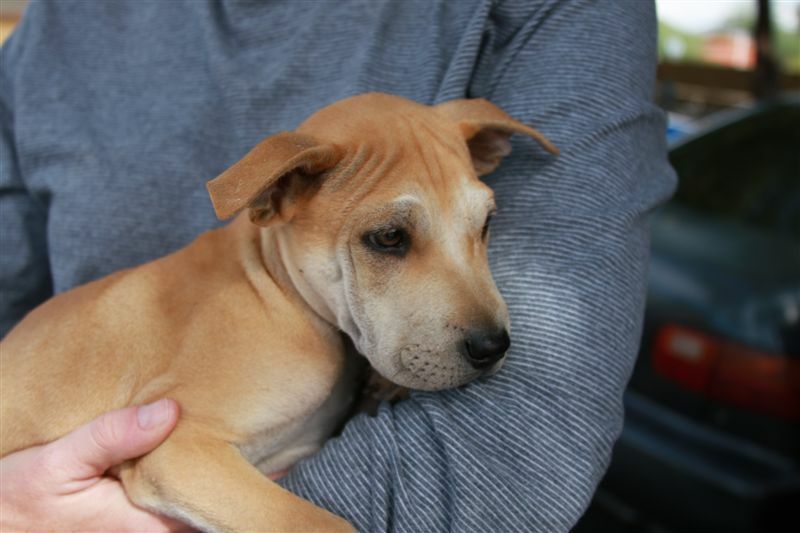 Michael told him that she was moved from a boarding facility to a foster home. Gary burst into tears. He thought that we permanently placed Libby in another home. He had no family here, and had not had one visitor in the hospital for 3 weeks. As Michael reassured Gary that Libby was still his dog, Gary kept repeating “she’s all I have left, I have nothing”. The only clothes he had at the hospital were all cut up, and he only had one shoe after the accident. Michael put out a plea to the rescue asking how we could help Gary. We collected clothes and shoes, brought meals to the hospital, and were able to bring Libby to the hospital on Christmas. Libby was so excited to see her dad in the hospital that she nearly knocked over the tray table to get to him. It was a very special moment. Gary was expected to be in the rehab facility for at least another two weeks, but the insurance from the drunk driver ran out, and he was prematurely released. He has no in-home care, and can barely navigate around his apartment due to his impaired leg. He didn’t even have a ride home from the hospital. Two of our volunteers transported him home. Valley Dogs volunteers have been preparing meals, helping him pay his bills, and Libby’s foster mom has been bringing her over for visits, until he can care for her again. We’re working with Gary to identify resources for him, but as a dog rescue, this really isn’t our forte, and we’re just hitting a lot of red tape everywhere we go. He doesn’t belong at home alone in his condition, but he is slipping through the system for being too young, not permanently disabled, or not having insurance. Gary is a very proud person. There is nothing more he wants than to be self sufficient again, and back to work. He is facing at least a six month recovery period. Gary also needs to be getting physical therapy for his leg (he is currently limited to 15 sessions), but the PT van will only pick him up in the parking lot, and they will not come to his door to get him. He can’t get his own shoes and socks on, let a lone walk out of his door. We have received overwhelming support from amazing organizations like Madison Street Veterans Association, Furnishing Hope, and Guardian Angels Catholic Community in providing clothes, household items, furniture, and food. We’re doing whatever we can to help care for him, but it is not enough. We are collecting donations to contribute to his meals, getting him in-home care aide, physical therapy, and helping pay for his rent which is $166/mo. Any amount would be most appreciated, and we would be happy to provide you with a receipt. If you are outraged by how this injured veteran has been treated by the system, please consider making a difference in his life by making a donation. We refuse to believe that this is all that can be done for Gary. Please help us make that a reality. 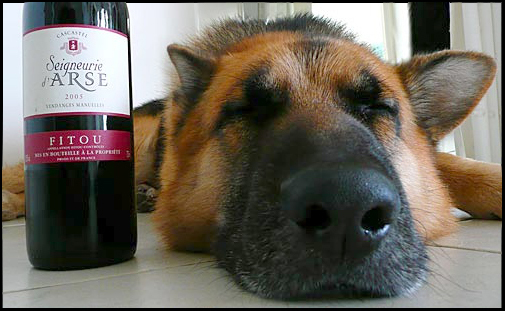 Bark & Wine is this Saturday, November 6 from 1pm to 5pm at Su Vino Winery in Old town Scottsdale. Get your tickets online by Friday November 5th, 9pm. Otherwise, you must purchase tickets at the door. The last time we wrote to you all, Guss was having difficulty getting in and out of his doggie door. 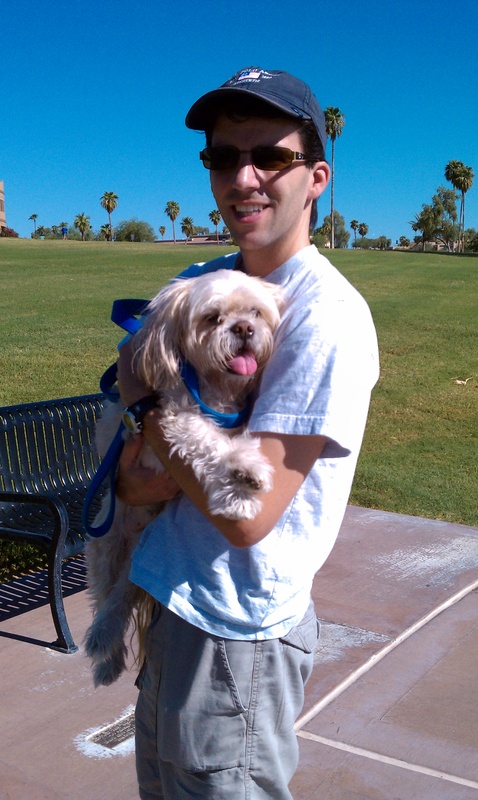 He made incredible progress after visiting Jeffrey from the Canine Rehab. 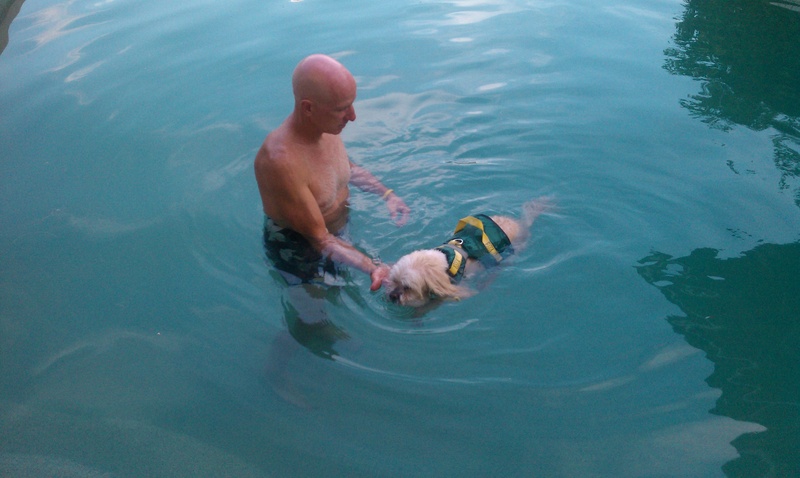 He was a trooper with his pool therapy, and faithfully did his cavaletti exercises every day. But a few months later he started taking a turn for the worse. He was compulsively doing laps around the house, walked only by hugging the walls or walking in circles, and would constantly trip and lose his balance. He’d also begun incessantly rubbing his head. We took him to see Dr. Bashaw at AMSC, and upon hearing all of his symptoms, she confirmed with a quick eye examination that he likely had a brain tumor. His left pupil was about the size of a pin head, an indication of a brain tumor on his left side. The brain tumor was inoperable. We started him on a course of steroids to see if there was any improvement, but we did not see any. 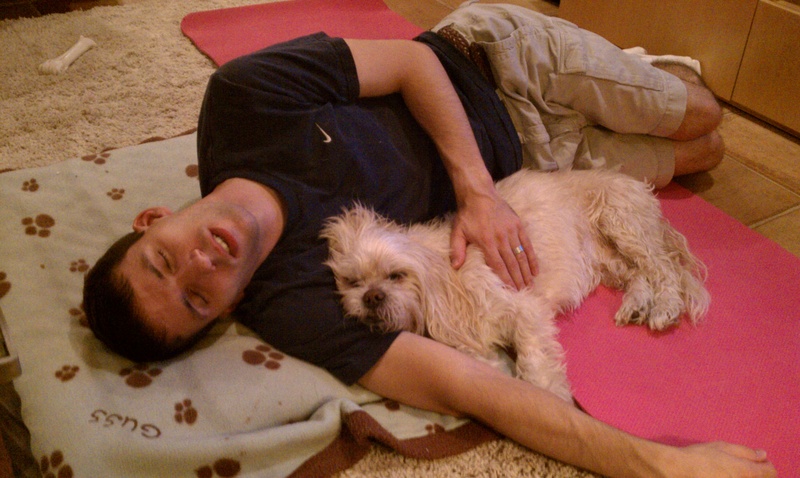 Our little Guss was suffering, and we did not want to prolong it. We took him to his favorite park for the last time. Coaxed him into getting some rest. His friends came over to say goodbye. He had been spoiled for days with his favorite food, and never looked so happy after inhaling a steak. He went peacefully in our arms. We’d like to thank Valley Dogs for all that they have done for him. Three years ago, Guss was left for dead in a parking lot: emaciated, matted, with two severe ear infections, and two cracked molars that needed extraction. He was a rescue’s nightmare, and many other rescue’s would not have taken him in. It is this dedication that compelled us to volunteer for such an amazing organization. “Grumpy Guss” (as he was known in the rescue) went on to become a model foster brother, and over the course of three years taught 20 foster dogs how to use the doggie door and live in a home environment. 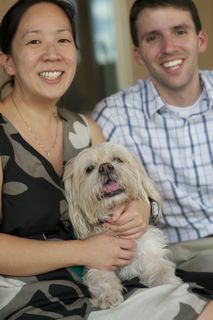 We’d like to especially thank Becky, who fostered Guss back to health, and scrutinized a young couple’s intentions with adopting a seemingly grumbly, old dog. Guss never forgot you. I think it’s because you saved his life. We miss you Guss Guss. You’ll be in our hearts forever. 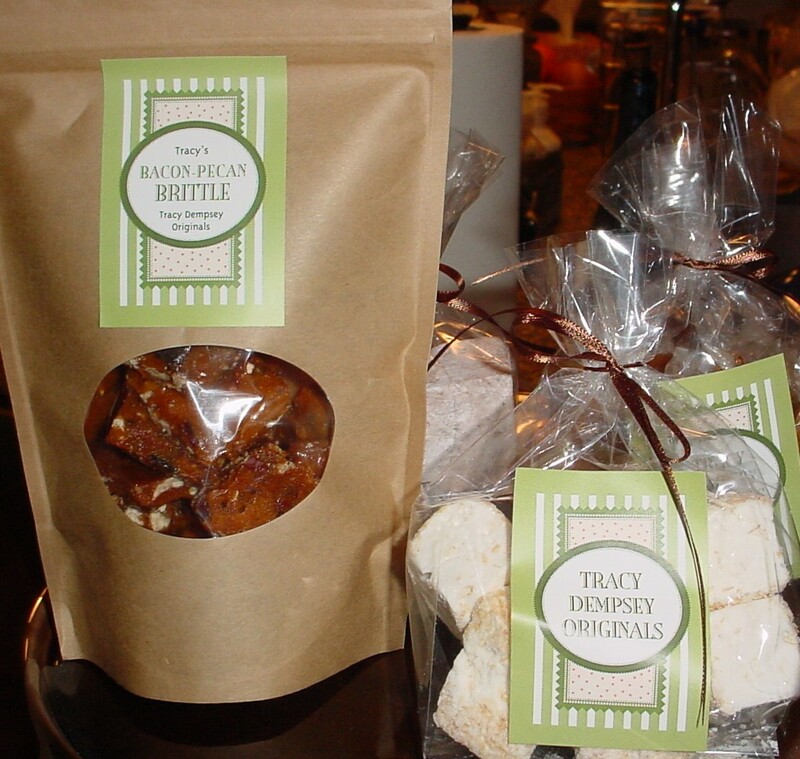 My husband and I have been long time fans of Tracy’s delicous desserts from her famous bacon brittle to her sinful cocoa shortbreads. She launched her own line of delicious treats called Tracy Dempsey Originals. 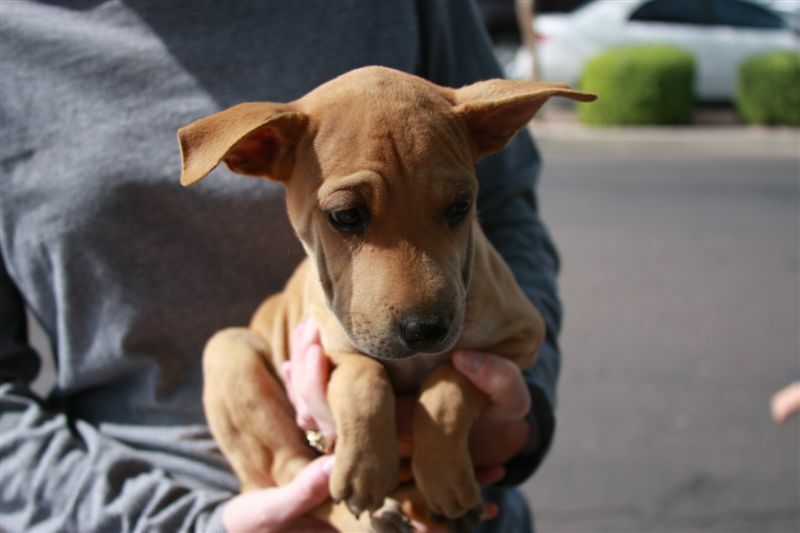 We discovered her for the first time at the Old Town Scottsdale Farmers Market. Visiting her booth was the highlight of our trip, and where my husband would get a little carried away with sampling and purchasing almost everything she had. Tracy was always personable and gracious whenever we’d visit her booth. 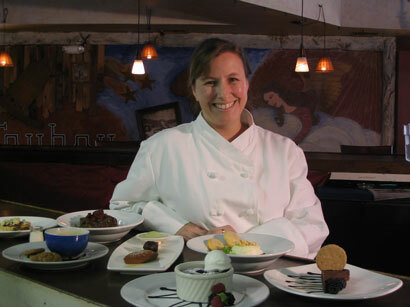 Little did we know she’s considered one of the most celebrated pastry chefs in the Valley. She has been the pastry chef of some of the Valley’s most well known restaurants including: Sea Saw, Cowboy Ciao, and now Crudo Cafe, and House. She has become so busy, that she will no longer be at the Old Town Farmer’s Market, but you can find her delicious goodies at Oakville Grocery and Crudo Cafe. Tracy will be generously providing her cocoa shortbreads for the Bark & Wine Event. Trust me, you won’t want to miss it! 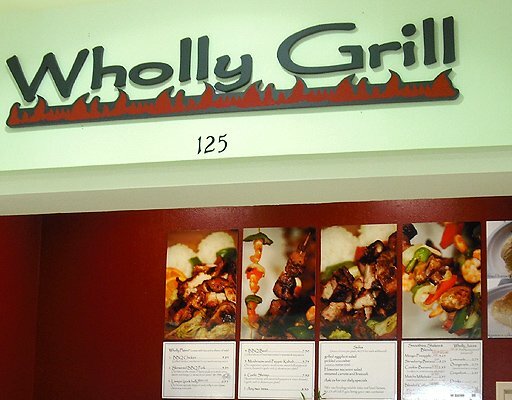 Valley Dogs Rescue is proud to have Wholly Grill as a food contributor to our Bark & Wine Event on November 6th, 2010. This is a relatively new restaurant, and is located in the MeKong Plaza in Mesa. Wholly Grill has just gotten a great review from an Arizona Republic food critic for their authentic, asian grilled meats. The owners are related to one of our volunteers, and they were kind enough to offer their signature grilled meats and veggie skewers for the event. Each one of their grilled meats takes a bath in a slightly different soy and garlic-based marinade: brown sugar and ginger for the chicken; brown sugar and vinegar for the skewered pork; vinegar, pepper and sour orange for the lusciously fatty pork belly; and brown sugar, ginger and sesame-seed oil for the ultra-moist beef. Picking a favorite is nearly impossible. Charred and slightly crunchy at the edges, some of the meats are sweet and sticky, others more tangy or savory, but every single one is yummy. Puppies, puppies, and more puppies! 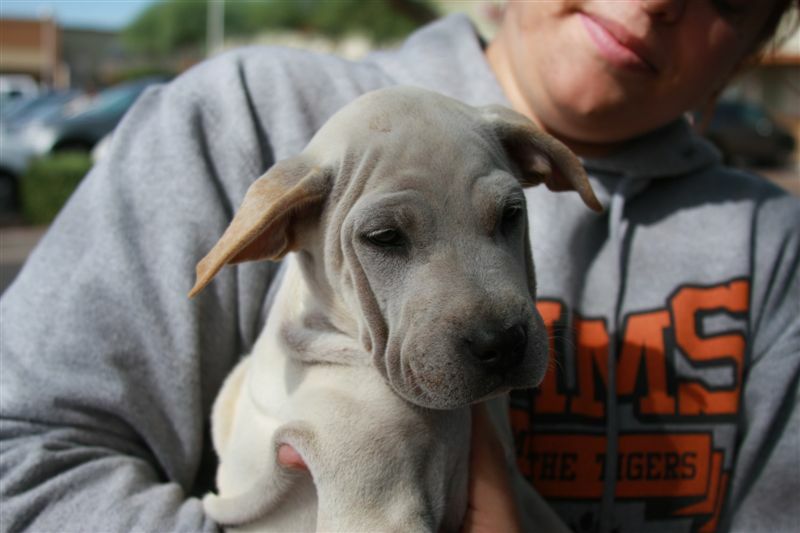 We’ve had a steady stream of puppies this year, and have an urgent need for foster homes for this Shar Pei mix litter. There are 8 puppies total, and they are 8 weeks old. 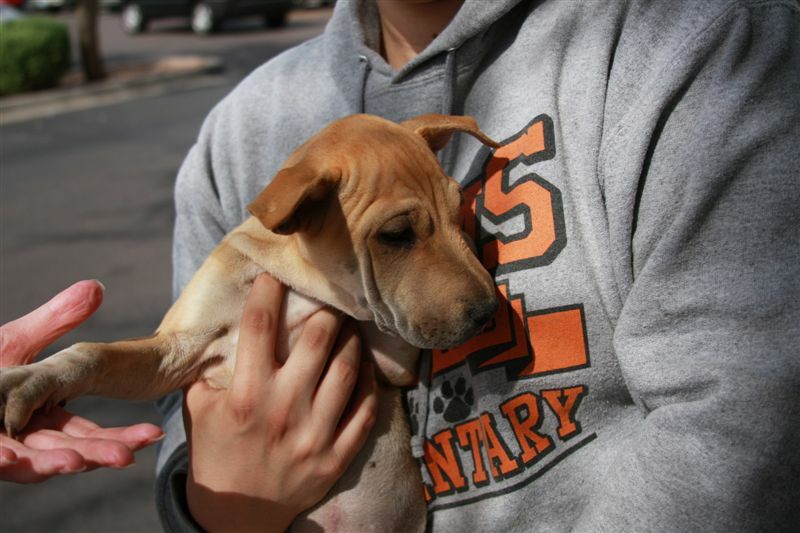 Are you willing to open your heart and home to an abandoned animal in need? 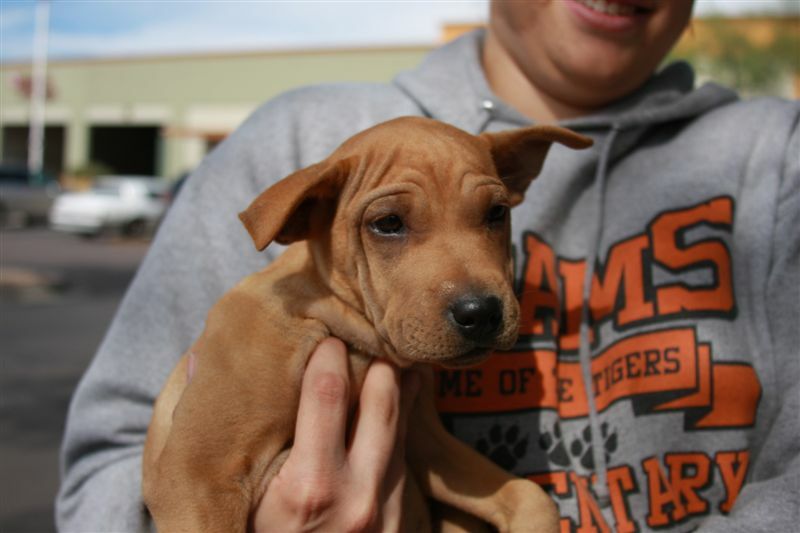 Valley Dogs Rescue needs YOU! What does a foster parent do? You would provide shelter and care of a rescue dog, teach basic socialization, and help the dog acclimate to living in a home environment. 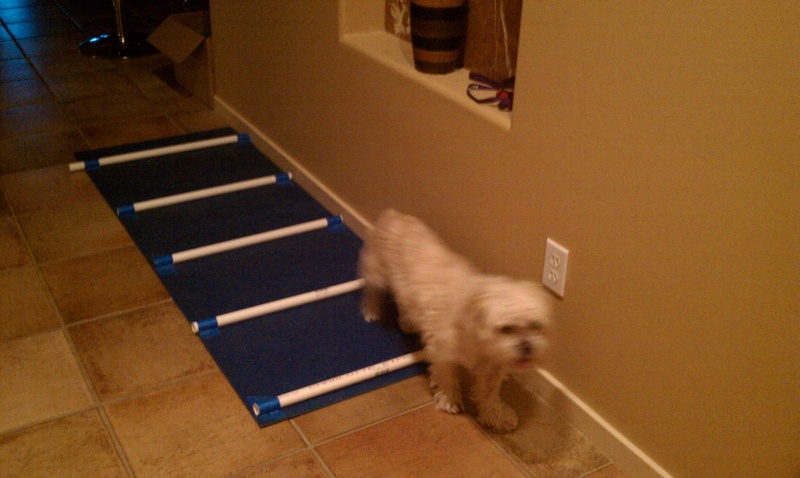 Valley Dogs Rescue supports you every step of the way. 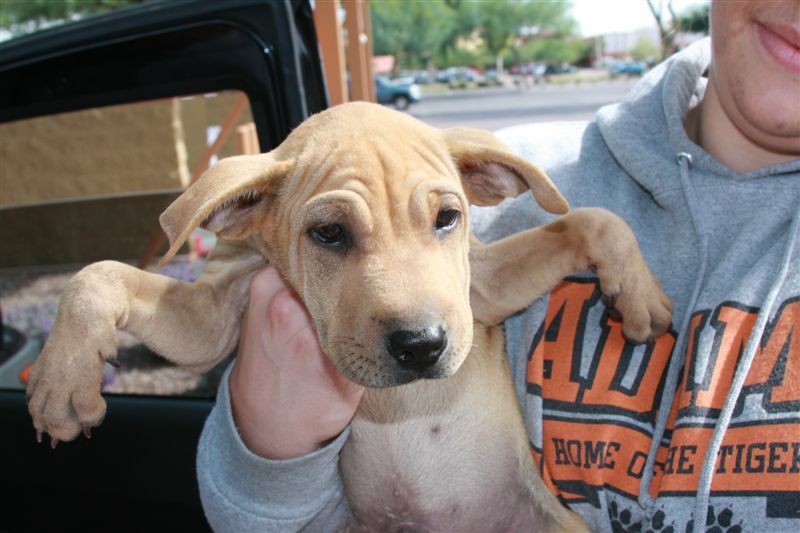 We cover all veterinary expenses, food, and supplies. 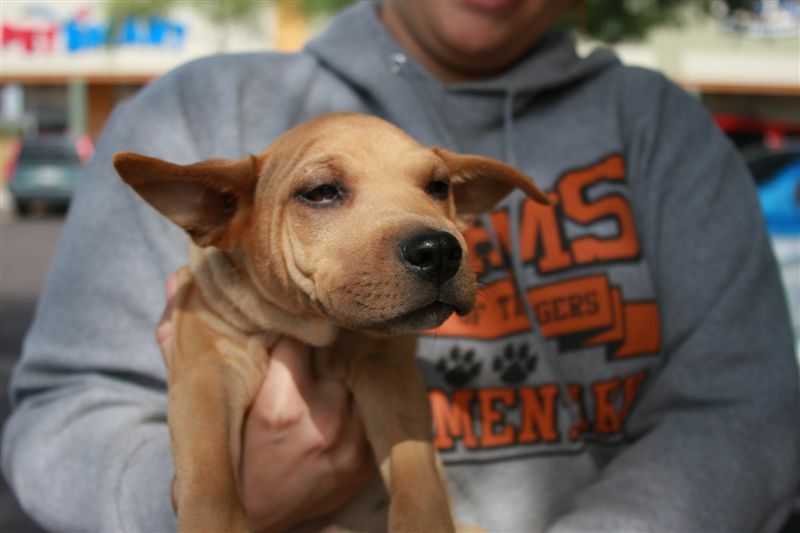 It is a truly rewarding experience knowing you are making a differnce in an animal’s life. Fostering is also a great volunteer activity to engage your family, and teach your children compassion and responsibility. 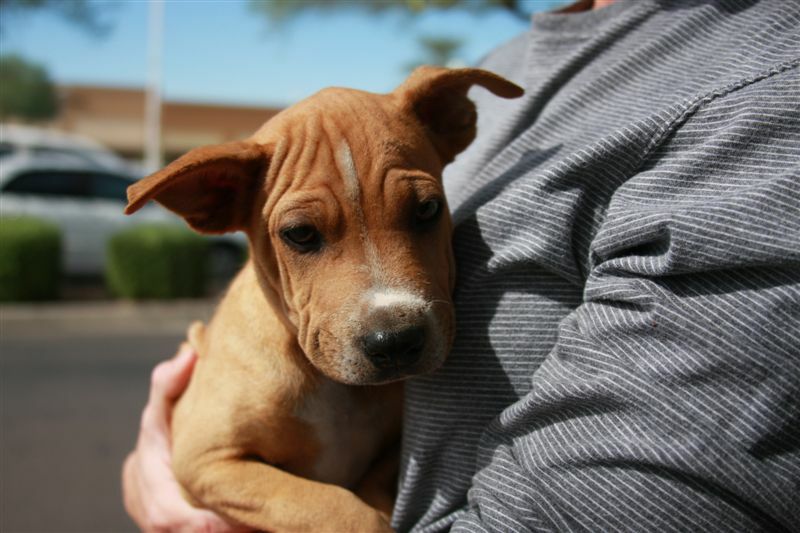 Please contact us via email or at 480-898-3647 if you’re interested or have any questions about fostering!